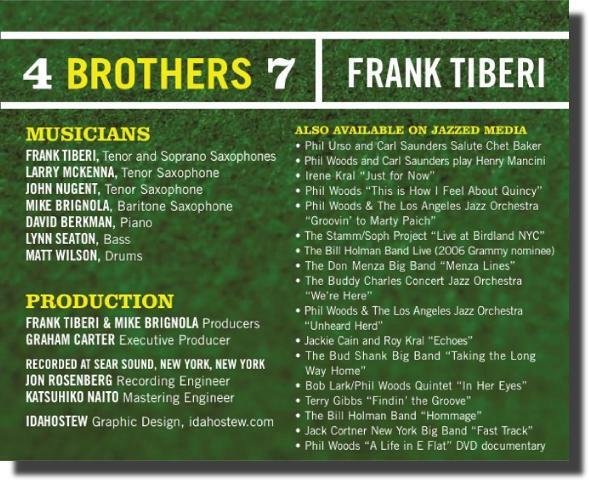 The mere mention of the term “Four Brothers” flashes one to a familiar and fabled edition of Woody Herman's Orchestras-“The Second Herd”, often called “The Four Brothers Band”. Its concept and sound was derived from Jimmy Giuffre's piece entitled “Four Brothers”- a three tenor and one baritone saxophone voicing; it was first recorded December 27, 1947 with Stan Getz, Herbie Steward, Zoot Sims and Serge Chaloff respectively. As a signature power tune, the Herman big band has been playing it each night for over half a century. 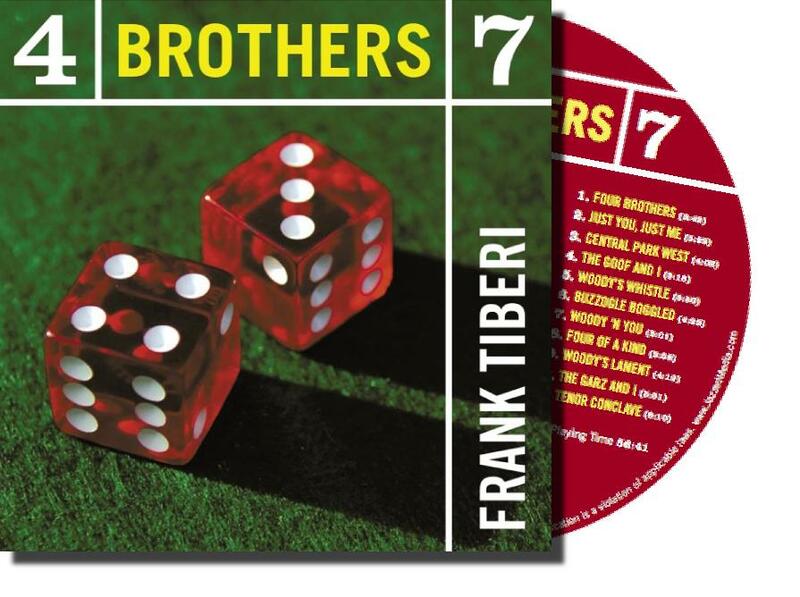 Frank Tiberi is an unsung hero whose knowledge is so expansive that everyone in the band learns from him. His substantial contributions to this recording are just a partial glimpse at his large bay window of resources, dominated by exciting concepts and vocabularies. Clocking 25 years with the Herman band, MikeBrignola's musical contributions carry broad amendments in super management skills and alacrity, Mike is a true romper. LarryMcKenna plays on a high level with an attractive sound reflecting a cool Stan Getz concept spiced with a Charlie Parker mentality. John Nugent has become a top caliber performer, playing and recording with great company. It was sheer coincidence that “the four of us had all played in the Herman sax section and oddly each of us had joined the band at different times, when we put the rhythm section together, we did not intentionally recruit Woody guys, but (ironically) Dave Berkman, Lynn Seaton and Matt Wilson all played in the Herman band during the 1980's.” So it's natural much of the music is driven by the aura of Herman alumni.